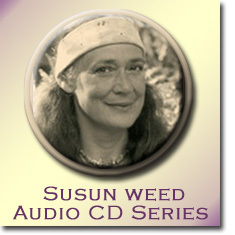 Susun Weed, wise woman, herbalist, author, and mother, has been at the forefront of the natural menopause revolution for the past fifteen years. 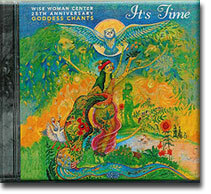 She plays with the fairies and her goats at her 55-acre homestead in New York's Catskill mountains, where she coordinates events at the Wise Woman Center, including monthly moonlodge gatherings and a variety of healing workshops. She has dedicated her life to the reweaving of the cloak of the Ancients and to making the Wise Woman available to all women. Kundalini [is] the root [of] all spiritual experiences ... Kundalini is a special kind of energy known in many cultures, including Tibetan, Indian, Sumerian, Chinese, Irish, Aztec, and Greek. Kundalini is said to be hot, fast, powerful, and large. It exists within the earth, within all life, and within each person. Psychoanalyst Carl G. Jung called kundalini anima. 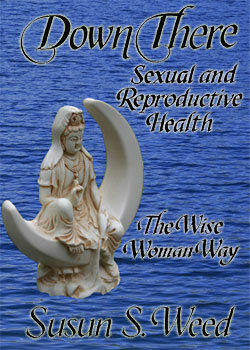 Kundalini is usually represented as a serpent coiled at the base of the spine, but women's mystery stories locate it in the uterus - or the area where the uterus was, if a hysterectomy has occurred. During both puberty and menopause, a woman's kundalini is difficult to control and may cause a great number of symptoms. East Indian yogis spend lifetimes learning to activate, or wake up, their kundalini. This is also called "achieving enlightenment". When they succeed, a surge of super-heated energy goes up the spine, throughout the nerves, dilating blood vessels, and fueling itself with hormones. As kundalini continues to travel up the spine, it changes the functioning of the endocrine, cardiovascular, and nervous systems. Not just in yogis, but in any woman who allows herself to become aware of it. Menopause is a kind of enlightenment. 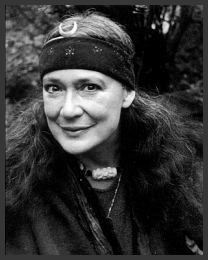 Hot flashes are kundalini training sessions. Red clover blossoms (Trifolium pratense), when dried and brewed into a strong infusion (one ounce herb steeped an a quart of boiling water for at least four hours) prevent cancer by providing phytoestrogens that counter the cancer-promoting effects of oral hormones. Usual dose is 2-4 cups a day. The infusion tastes like black tea and can be flavored with mint if you like. Since uncooked beans and unfermented soy contain anti-nutritional factors that may promote bone loss and dementia, soy "milk" and tofu are not recommended. Miso and tamari definitely help to prevent breast cancer but soy isoflavones may promote it. Yogurt helps build powerful immunity. Women who eat a quart of yogurt a week have 700% less cancer than women who eat no yogurt. Oatstraw infusion (Avena sativa) cools and moistens your eyes from the inside out, builds strong bones too. Use one ounce of dried herb in a quart jar; fill to the top with boiling water and cap tightly. Let steep four or more hours. Dose is 2-4 cups a day. Refrigerate after straining. Cucumber slices ease dry eyes; so do chamomile tea bags. The ultimate ally for women with dry eyes is fresh chickweed (Stellaria media), applied as a poultice to the closed eyes. Leave on for five minutes, or until the plant material feels warm (it will heat up). Repeat as needed. Stroke and heart attack are actually increased by use of ERT/HRT, though modern medicine has long proclaimed the opposite. Every major double-blind study done to date has created a larger and larger gap between ERT/HRT's supposed ability to help cardiovascular health and its actual results. Protect your heart with nourishing and tonifying herbs and foods such as motherwort, hawthorn, and cherries. Estradiol is a strong estrogen and is metabolized by the long path. The other estrogens our bodies make are weak estrogens and are metabolized by the short path. Alcohol turns off the short path. Phytoestrogens are weak hormones and hormonal precursors. Phytoestrogens in foods are metabolized by the short path. Phytoestrogens appear to protect tissues from the cancer-causing effects of estradiol, xenoestrogens and pharmaceutical hormones. Phytoestrogens in foods prevent cancer and promote health; phytoestrogen supplements and processed soy fake-foods may do the opposite. Breast cancer occurs four times more often in women whose urinary output of phytoestrogen by-products is low compared to women whose urinary output is high. Phytoestrogens are common in food. They are concentrated in seeds (grains, beans, nuts, berries) and roots. The exceptions to the rule that plants don't contain human hormones: French beans, rice, apple seeds, licorice, and pomegranate seeds contain the "weak" estrogen estrone. 1. Plants contain many types of phytoestrogens; additionally, they contain minerals and other constituents which help our bodies modify the phytoestrogens and so we can use them safely. Red clover is mineral-rich and contains all four of the major types of phytoestrogens: lignans, coumestans, isoflavones, and resorcylic acid lactones. It is the world's best-known anti-cancer herb. In general, foods and herbs rich in phytoestrogens, with the possible exception of licorice, show anti-cancer abilities. Isoflavone, however, when isolated (usually from soy) has the opposite effect: in the lab it encourages the growth of breast cancer cells (endnote 32 in New Menopausal Years). I use phytoestrogenic food-like herbs regularly (not daily), in moderate quantity. I take phytoestrogenic herbs rarely, in small amounts, for a limited time. Recent studies indicate black cohosh does not suppress luteinizing hormone, has no estrogenic effect, and contains no compounds related to estrogen. Red clover flower heads contain many hormone-like flavonoids, including isoflavone, daidzein, genistein, formononetin, biochanin, sitosterol, and coumestrol, a particularly strong phytoestrogen (six times more active than the one in soy). Red clover contains all four major estrogenic isoflavones; soy has only two of them. A cup of red clover infusion (not tea) contains ten times more phytoestrogens than a cup of soy beverage, is richer in calcium, has less calories, and contains no added sugars. When unfermented soy takes the place of animal protein (meat and milk), its anti-nutritional factors can create brittle bones, thyroid problems, memory loss, vision impairment, irregular heartbeat, depression, and vulnerability to infections. Unfermented soy is high in hemoglutin, which causes clumping of red blood cells and may increase risk of stroke. It is also impressively rich in aluminum (up to 100 times more than is found in the same amount of real milk). Eating tofu more than once a week doubled the risk of Alzheimer's in a small group of Japanese men studied for thirty years. Human gut bacteria can cleave a sugar molecule from wild yam's steroidal saponin, producing diosgenin. Labs make progesterone from diosgenin, but our bodies can't. Diosgenin itself has a weak estrogenic effect. According to Australian herbalist Ruth Trickey: "A more probable explanation [for the observed effects of wild yam] ... is that [diosgenin] interacts with hypothalamic and pituitary hormones and ... initiates ovulation."